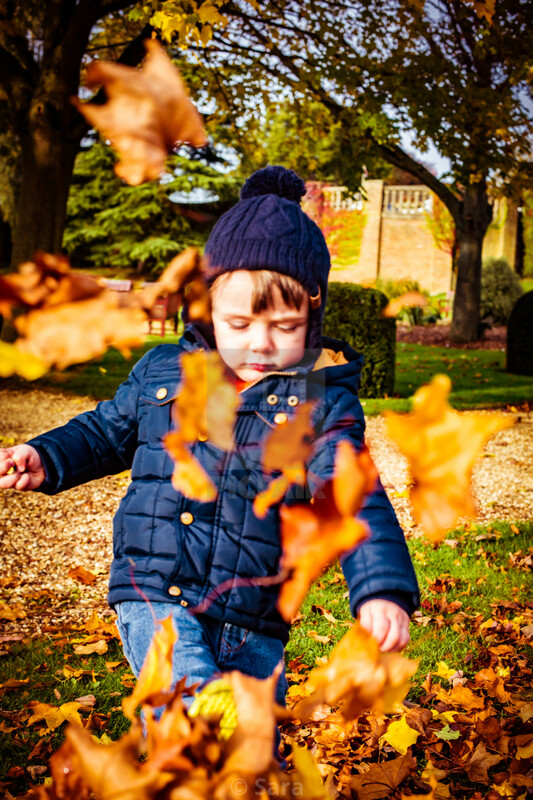 Boy kicks autumn leaves into the air. Park trees in the background. Flying leaves in the foreground. Boy is wrapped up in warm clothing; blue coat and knitted navy bobble hat.